Can't Add Stickers to WhatsApp: How to Fix? Can’t Add Stickers to WhatsApp: How to Fix? This is very recent problems of the latest update of the WhatsApp. If you can’t add new stickers of the WhatsApp, it is because of the recent update. We will try provide some solutions for you however generally sticker app developers need to make changes in their applications to fix this problem. They should keep up with recent changes with recent WhatsApp updates. 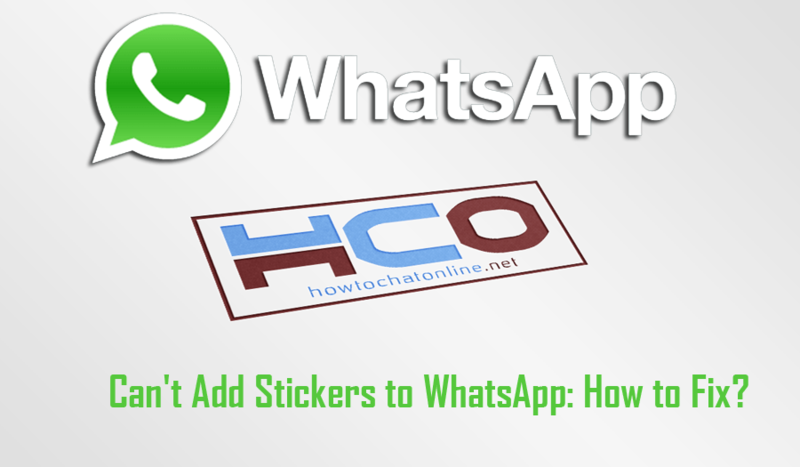 Since WhatsApp made some changes on the stickers, most of users can’t add stickers to WhatsApp at the moment. Can’t Add Stickers to WhatsApp, How to Fix It? Check if stickers are working now. Since iPhone hasn’t any options like this, you will need to reinstall WhatsApp to your device if you can’t add stickers to WhatsApp. Please see the steps below for that. If all steps above didn’t work for you, you will also need reinstall the application on Android too. Close the application on your phone. Tap & hold WhatsApp icon. Select uninstall from the menu on Android or select x button on iPhone. Now you are done with iPhone devices too. Unfortunately iPhone doesn’t have any settings for clearing cache and data of apps. So you will need to uninstall and install the application as we have shown you above. If you have any questions regarding stickers please ask us.